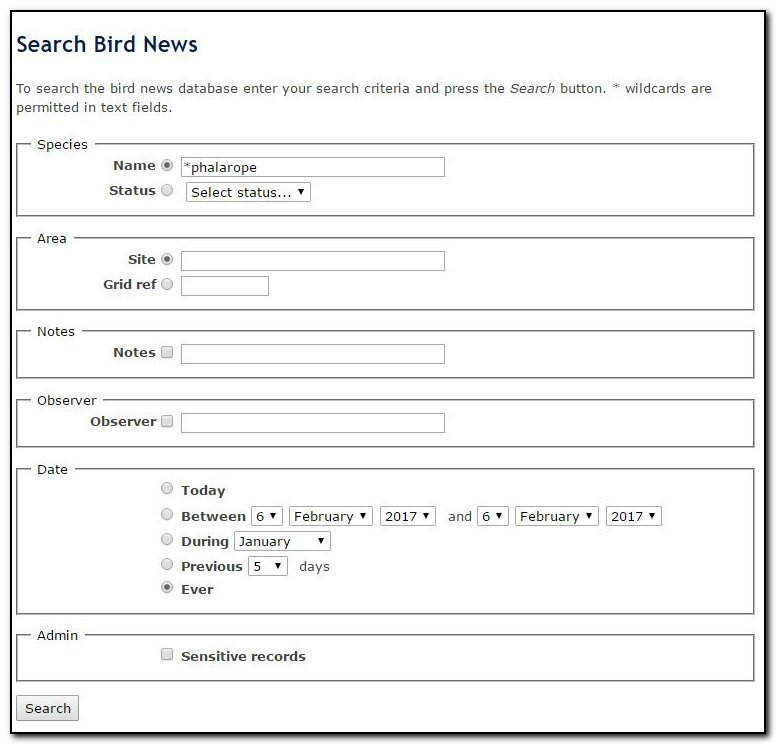 The species database can be searched on any of the fields shown below. The first example will return all sightings of Phalarope species since the database started. The second example returns all Herring Gull record from Little Marlow GP during 2016 and where the Notes field contains information on colour ringed birds. A wild card “*” may be used in the search criteria. This is invaluable when searching within the notes field but may be used in the other text fields. See examples below. The above example searches for all records of both Grey and Red-necked Phalaropes. Note that the “Ever” button is selected (by default the “Today” button is selected). 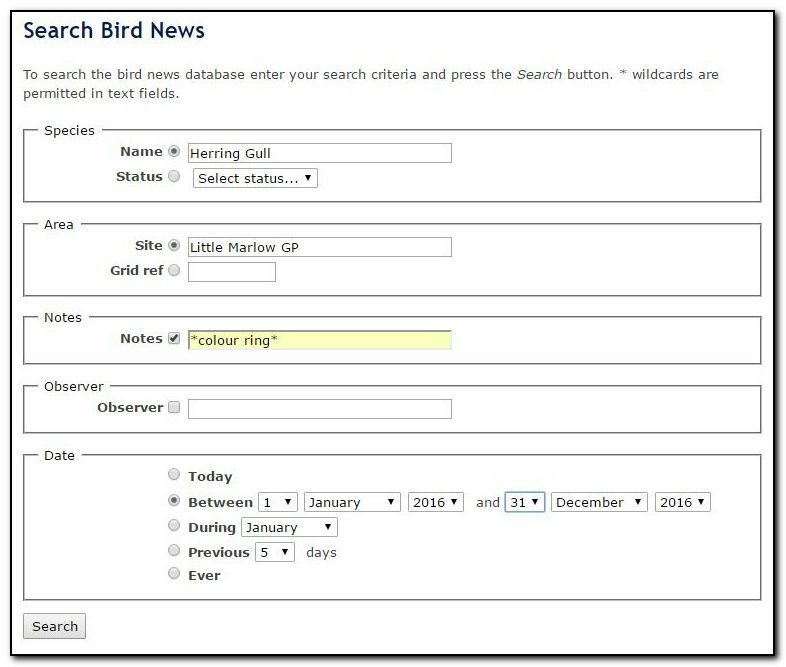 The above example shows how to select sightings of colour ringed Herring Gulls at Little Marlow GP during the whole of 2016. (This obviously relies on the submitters placing the words “colour ring” in the Notes filed).